The tax year officially ends as of yesterday with the due date for filing returns. In the happy aftermath of relief or returns, how many played with a few deductions, had the joy of discovering loopholes or got excited over new exemptions? It feels good to find new ways to have fun with your forms and make the most of what could otherwise prove to be a taxing experience. 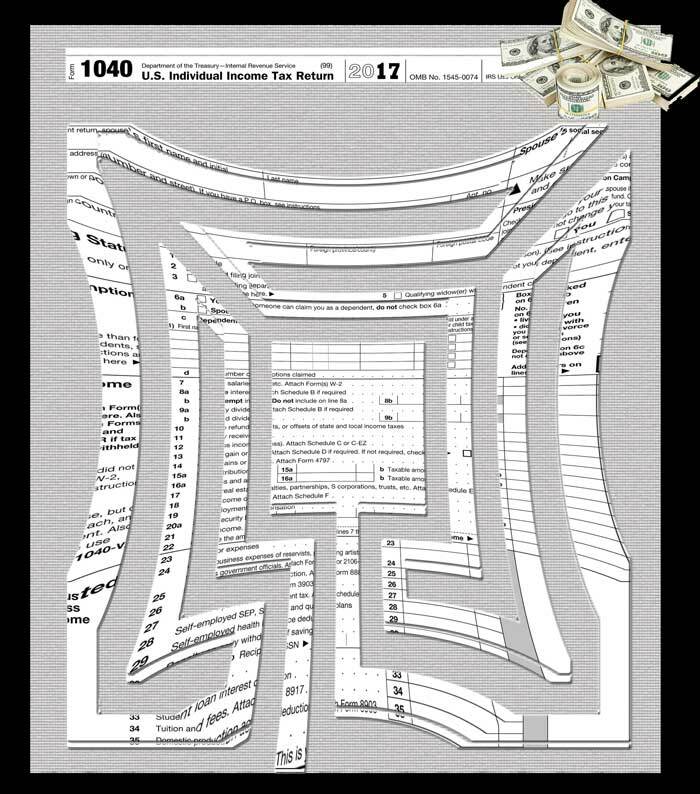 This is a design created last year when the filing frenzy became a little too much, taking time out to play with the 1040 form, it solved a few puzzles with a finger walk and became a way to remain true to the process while developing creativity in the confines. Inspiration as well as insight showed up to make the filing experience one that was honest, satisfying and amusingly complete. Walk in the aftermath of your taxing experience, reflect and consider what you might do to be more creative in the coming year? Near the Emergency Room is the labyrinth. There aren’t ever many people on it, though when there are, it is a place of comfort at a time of need. The waiting in a Waiting Room can be extraordinary at a time of crisis, as it is where time appears to have slowed down while pain and fear increase. The labyrinth can provide a place of refuge, prayer or centering for those who wait and a productive or healthy application of time and energy. It can provide a hopeful opportunity when a helpless feeling prevails. For adults who know or don’t know about what a labyrinth is and come to experience it at a time of pain, it can provide a knowing or surprisingly unknown sense of comfort for the heart and the mind. I come here from time to time just to walk, as it is near my home and sometimes I sit quietly and respect the walk of others. I find a refuge of comfort, prayer and purpose here and am grateful to the community that supplied it.